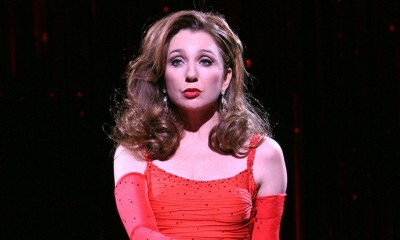 Just last week, I came across a video of two-time Tony Award winner Donna Murphy performing Could I Leave You from the musical Follies. I’ve been obsessed with it – and her – ever since. It’s simply brilliant storytelling and she managed to deliver this stupendous performance during an all-star concert celebrating Stephen Sondheim’s 80th birthday while sharing the stage with the likes of Patti LuPone, Bernadette Peters, Audra McDonald and the late, great Elaine Stritch. It made me wish I could’ve seen Miss Murphy in Hello, Dolly! on Broadway last year. I’m crazy about her. She won Tonys for The King and I and Passion and was a nominee for Wonderful Town, Lovemusik, and The People in the Picture. Bette Midler will be singing at the Oscars! Celeb Instagram: Men & their pets edition!